TEXT: I learned about great meals one Saturday night before Rosh Hashonah. 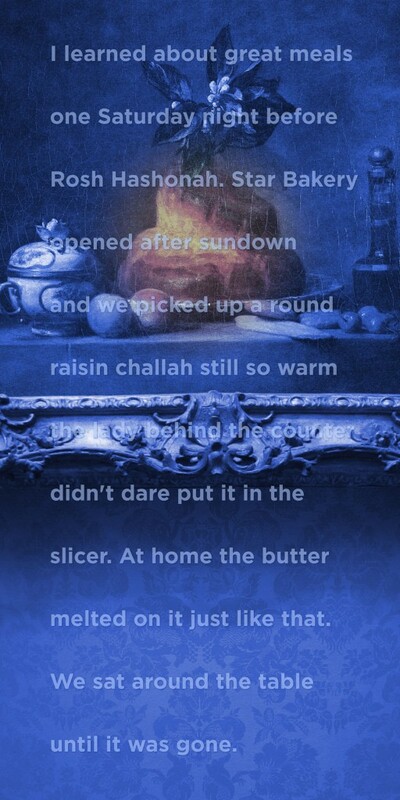 The bakery opened after sundown and we picked up a round raisin challah still so warm the lady behind the counter didn’t dare put it in the slicer. At home the butter melted on it just like that. We sat around the table until it was gone. 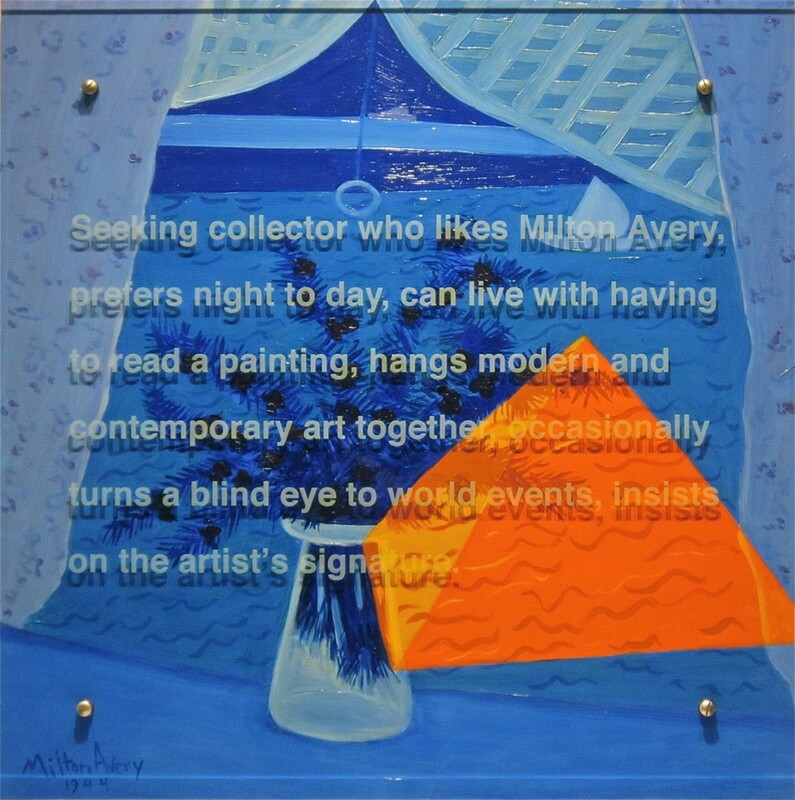 TEXT: Seeking collector who likes Milton Avery, prefers night to day, can live with having to read a painting, hangs modern and contemporary art together, occasionally turns a blind eye to world events, insists on the artist’s signature.